WHAT DO YOU MEAN BY CHILDREN AND YOUNG PEOPLE? The United Nations Convention on the Rights of the Child defines child as “a human being below the age of 18 unless under the law applicable to the child, majority is attained earlier. However, there are a number of different laws across the United Kingdom that specify age limits in different circumstances. In Wales, these include: child protection, those aged under 18; the age of consent, 16 and age of criminal responsibility, in aged 10. Prior to the commencement of the Social Services and Wellbeing (Wales) Act 2014 in April 2016, when a child or young person was referred to child and family services, they were received at the ‘front door’ of the service as a Child in Need, these are now known as children and families in receipt of care and support. Since 2012-2013 there has been a significant reduction in the number of referrals made to Children and Young People’s Services in Western Bay. A re-referral is defined as a referral to Child and Family Services made within 12 months of the previous referral. As it is the aim of each authority to meet needs as early as possible and achieve sustainable outcomes, all authorities aspire to see minimal re-referrals. – Unlikely to progress in terms of health or development without services from a local authority. The bigger the Child in Need population, the greater the demand on local authority resources. The number of children in need in Bridgend and Swansea has increased by approximately 30% since 2009-2010. By contrast the numbers in Neath Port Talbot have been relatively stable with an increase of less than 10%. If a local authority identifies in the course of the initial assessment that there is reasonable cause to suspect the child is suffering, or is likely to suffer significant harm, it will determine what steps are required to safeguard and promote the welfare of the child. This may include convening an initial child protection conference to decide whether the child’s name should be put on the Child Protection Register. If their name is put on the Register a group of professionals are identified to work with the family to develop and deliver a Child Protection Plan to bring about the change required. A child or young person is looked after if they are cared for by the local authority either under Section 76 of the Social Services and Wellbeing (Wales) Act 2014 or Section 31 of the Children Act 1989. Children become looked after when their birth parents are unable to provide ongoing care in either a temporary or permanent capacity. Children can be either looked after as a result of voluntary agreement by their parents or as the result of a care order. Where possible, parents seek to avoid changes of schools for their children in order to promote their child’s educational stability and opportunities. This principle applies equally to a local authority holding Parental Responsibility as Corporate Parent. Due to the high numbers of young people being admitted to care over the past number of years leaving care services in Western Bay will see a rise in young people leaving care in the next 2 years. During 2015-2016 there were 594 criminal offences committed by young people aged 10 to 17 years in Western Bay. In Western Bay there are currently 44 children and young people being monitored under the Child Sexual Exploitation Protocol. When a child is looked after by a local authority under a Care Order, the council becomes a corporate parent with legal and moral responsibility for that child. While much of the day-to-day functioning of a council’s corporate parenting responsibility is delegated to childcare professionals, including social workers, its elected members (Councillors) all have an important role to play. Corporate parents have responsibility for the child’s education, training and employment, health, welfare, leisure, housing and cultural opportunities.  Across Western Bay it is believed that Children’s needs are best served in their own families if this can be safely supported. Helping families stay together is a key focus for all services and begins with early identification of need and effective early intervention.  Preventative and early intervention support can promote good wellbeing outcomes for children and young people, helping them to live a healthy and fulfilled life. Some services such as Flying Start are available in all local authorities in Wales. Flying Start is part of the Welsh Government early years programme for families with children under 4 years of age living in disadvantaged areas of Wales. Team around the Family is also available in all Welsh local authority areas. Team around the Family offers a means of ensuring that, where a family has multiple needs that are broader than one service can address. As part of the Social Services and Well-being (Wales) Act 2014, which provides the legislative basis for social services in Wales from the 6th April 2016 there is a requirement for the provision of information, advice and assistance. Local authorities, with the assistance of Local Health Board partners must secure the provision of a service for providing people with information and advice relating to well-being, care and support in their area and (where appropriate) assistance in accessing these. In 2014-2015, in Western Bay there were 587 approved foster carers. Between January 2016 and January 2017 the IFSS received 107 referrals (the Welsh Government target for Western Bay is 100). Of these, the main substance misuse issue was alcohol abuse. – There is an identified need to strengthen services for children who are carers. – Need to continue the safe reduction in the number of looked after children across Western Bay. – Continue to develop services targeted at supporting families to reduce the risk associated with children being placed on the Child Protection Register. – There is a need for more accommodation options for children and young people leaving the care system. – There is a need to ensure that there is a robust commissioning arrangement for advocacy services for all children, not just those who are looked after. – Far more focused work is required to understand, at a strategic level, the needs of the population in Western Bay. Much more work is required, for example, to further our knowledge on subjects and cohorts such as gender differences, ethnicity, young carers, mental health and disabled children and those with other additional needs. – Continue the improvement of standards of achievement and attainment for all, improve the learning environment, and making better use of physical, financial and human resources.